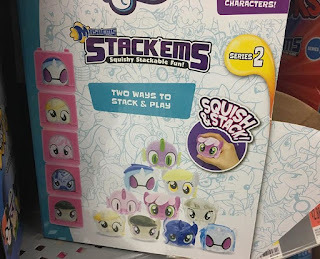 I bet a lot of people in the US already know that they are available now. But we still would like to give an heads up for those who don't. 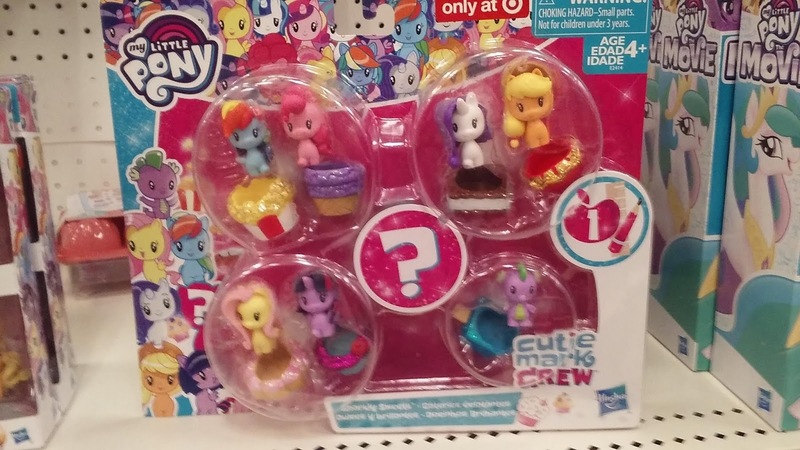 Months after Europe and Asia got the Cutie Mark Crew Figures they are finally available in the US. 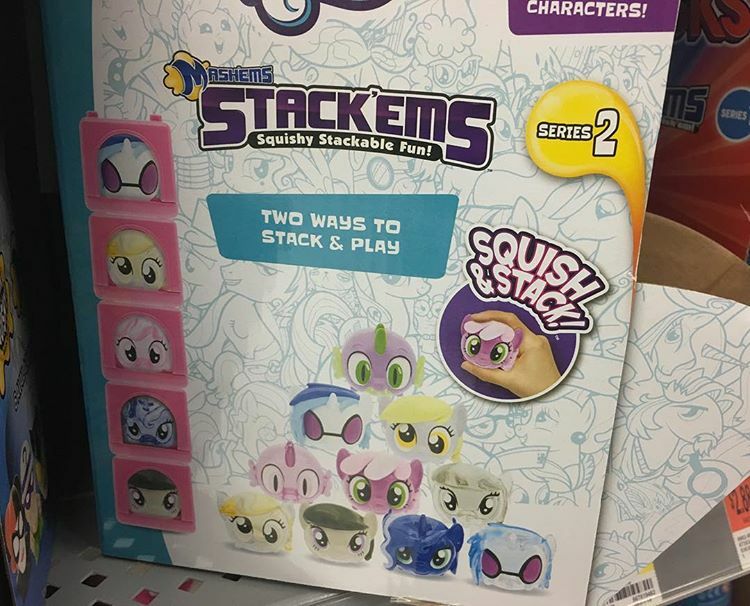 There are eight characters in total to collect. 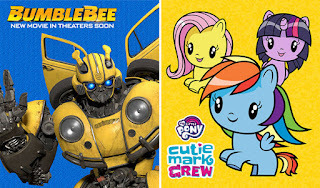 The release of the Cutie Mark Crew Happy Meal figures at McDonalds's restaurants across Europe and parts of Asia raised a lot of questions in the US whether the figures would be released on their continent as well. 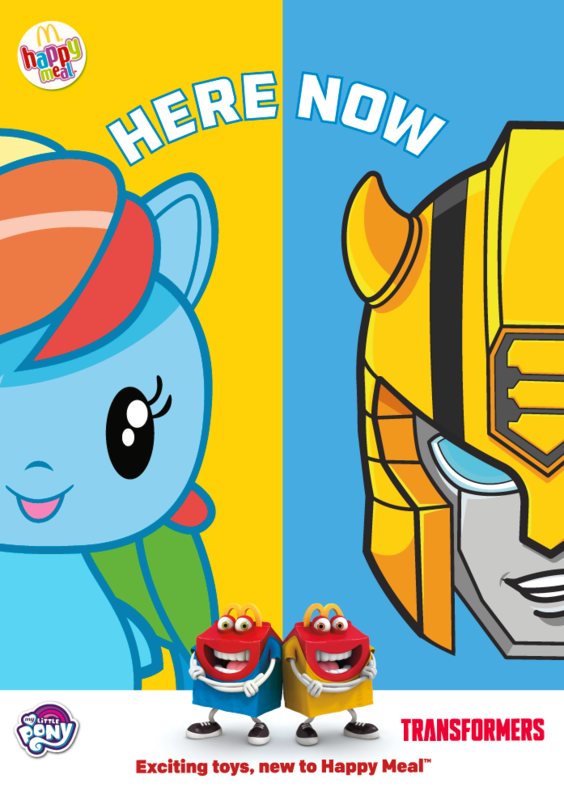 After a short wait we can finally confirm that both Cutie Mark Crew and Transformers Happy Meal toys are coming up as the next series in the US! 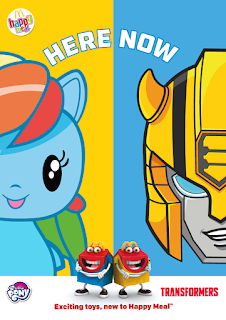 This next toy refresh is most likely planned for September 17-18. 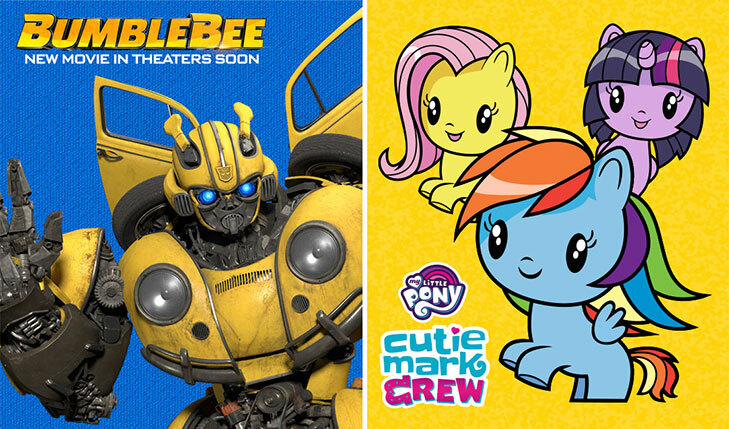 More countries, like Canada, Mexico and Australia, also missed out on the initial release, but we have yet to receive an official announcement for those locations. 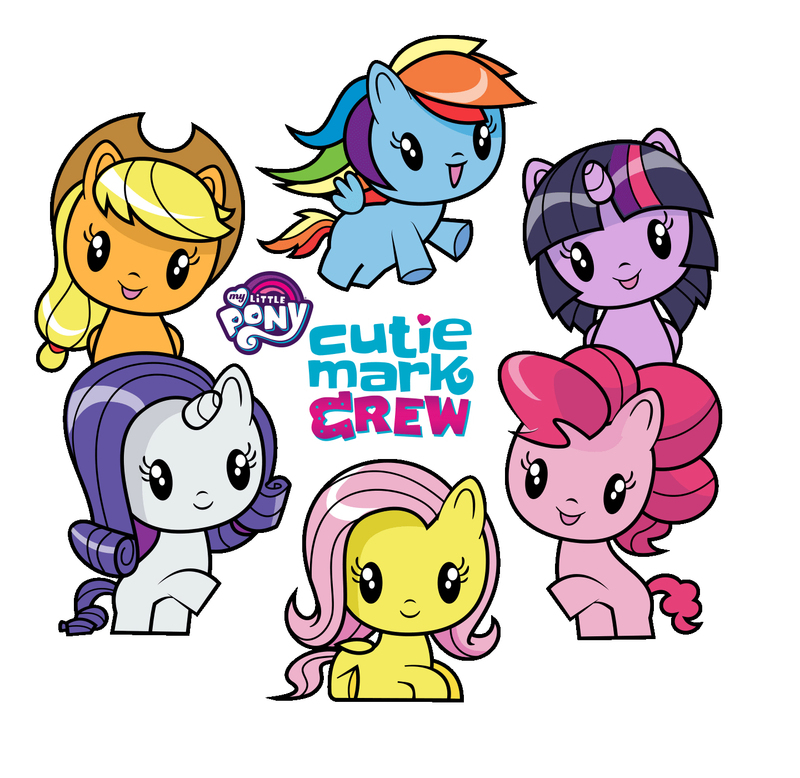 In the mean time Argentina already confirmed availability of the Cutie Mark Crew figures at their restaurants, and even included a clip that demonstrates what figures are available and how they work. Amazon has updated several of their listings including those for the Princess Clip & Go Plush. 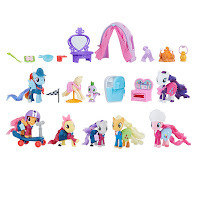 A few days ago we found the official stock images for Princess Cadance and Luna, but Amazon has now updated the listing for Celestia as well which shows the official HQ stock image. Yesterday we blogged about the Target-Exclusive Cutie Mark Crew Set, and this morning we posted about the 35th Anniversary Pretty Parlor set which has been found at Target as well. And just now Target has listed both items on their website including some HQ stock images, info and a way to order them online as well. Both sets retail for $19.99, have the listings + more below! 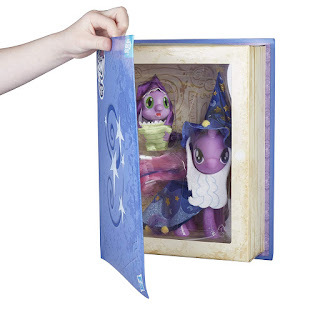 We've posted about several ponies from this set from some time now, including at the SDCC this year, and we already anticipated on a larger, store exclusive set. 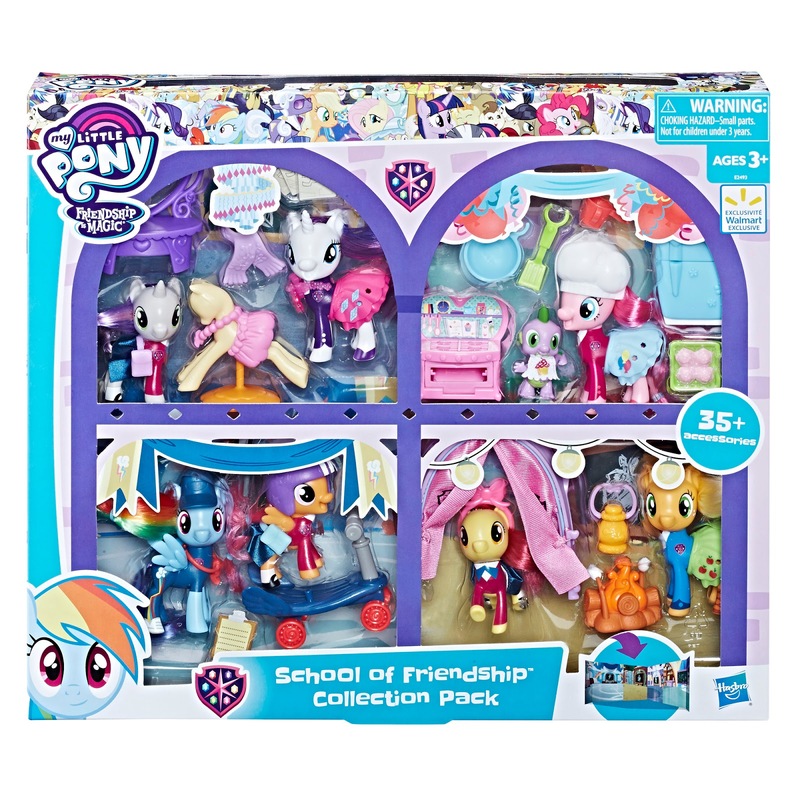 Today we got the confirmation that this indeed is the case: say hello to the School of Friendship Collection Pack! 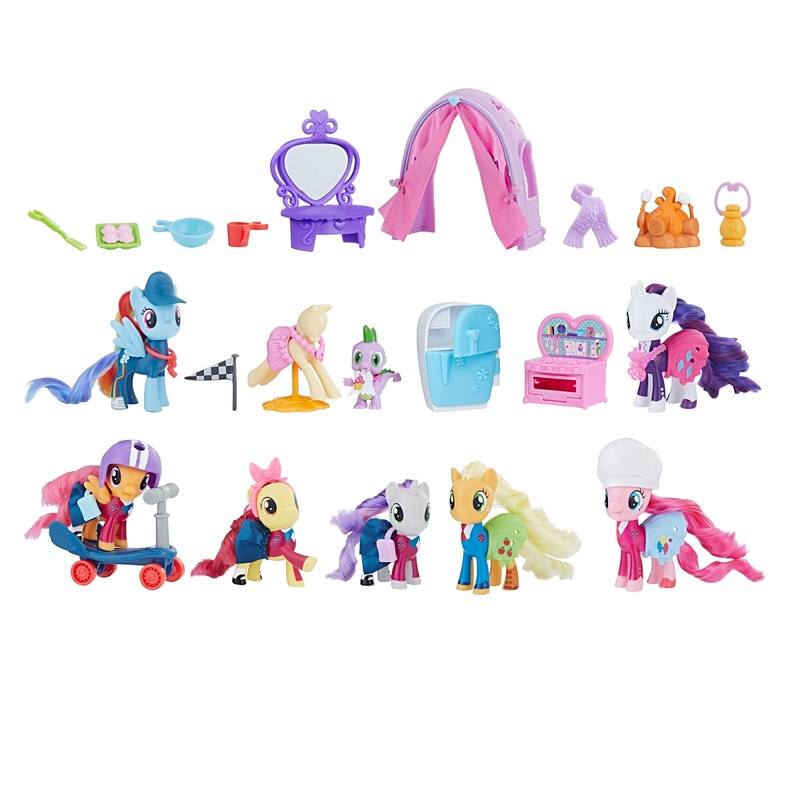 The full set consists of the CMC, Applejack, Pinkie Pie, Rainbow Dash, Rarity and Spike along with over 35 accessories. 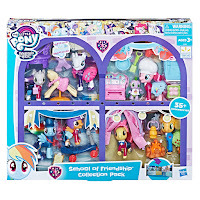 As seen this set is divided into four classes, each with 2 characters and several accessories: Rarity's fashion lesson, Pinkie's baking class, Rainbow Dash's speed lesson and Applejack's outdoor class. A few months ago we posted about a 2-pack containing Twilight Sparkle and Spike both dressed up into their Nightmare Night Costumes. 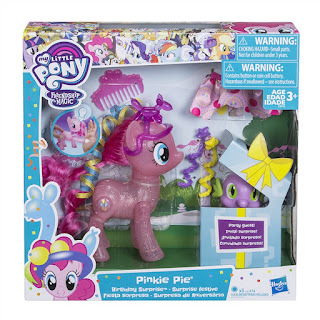 I expected this set to be an Amazon exclusive just like the Glitter Seapony Pinkie Pie last year. 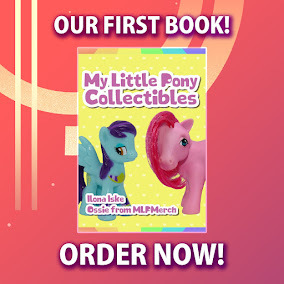 Recently Amazon has updated this listing with lots of information and additional images and best of all: It's now up for pre-order! 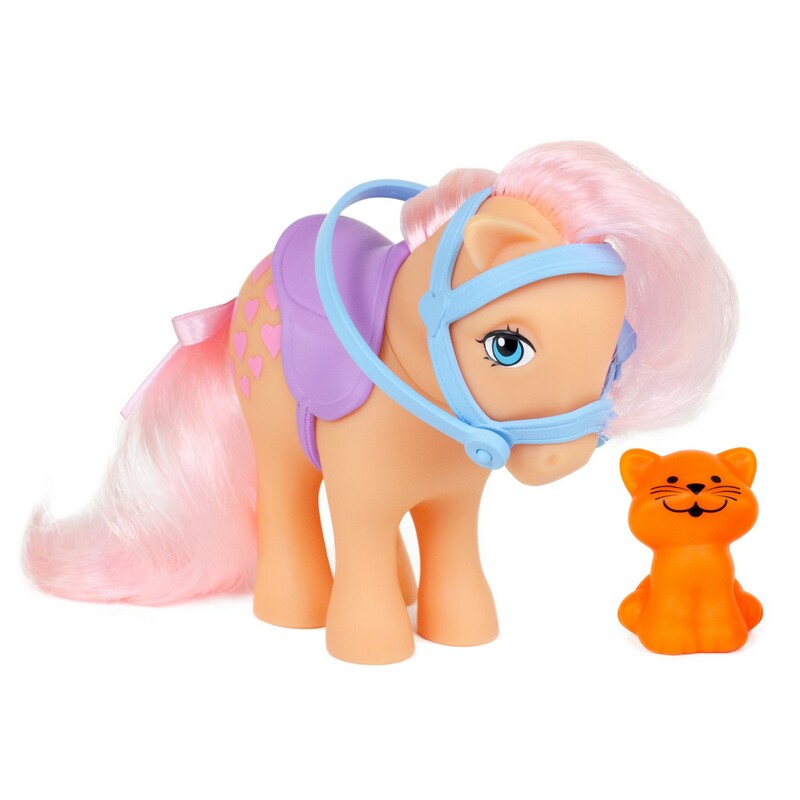 2018 My Little Pony Happy Meal Update Post - Available in Your Country? 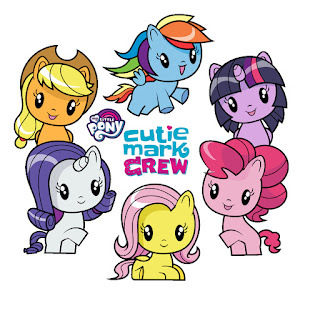 Over the past few weeks it was hard to miss on MLP Merch: McDonalds launched a new line of My Little Pony Happy Meal toys this month, themed after the Cutie Mark Crew. Because the availability differs from country to country we decided to write this post about the info that's currently available. Below we've listed all countries from which we know the figures are available, including their release schedule (if known). Not available in your country? 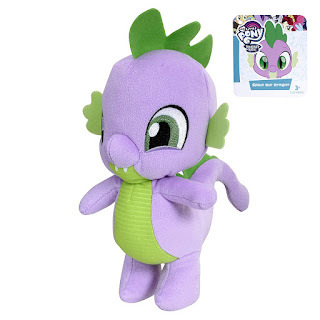 You can always check eBay for online availability!